Analyst Who Nailed the Housing Crash Reveals The Next Big Thing! While people worry about the greying of the U.S., and how we’ll support so many retirees, there’s another big story playing out: An increasingly young workforce is poised to help the economy and the housing market in a big way. For years, there have been very few people who have nailed the big, economic themes like Bill McBride, at the economics blog Calculated Risk. McBride’s blog took off, famously, when he nailed the housing crash, while others were still saying that “housing only goes up.” But unlike many others who have “called the crash” on their resume, McBride didn’t stay reflexively bearish. He also called the housing bottom, and the pickup in the economy. We wrote about his call back in early 2012, and it’s proven to be accurate. In addition to getting housing right, McBride has generally been right on the overall economy, as well as other interesting sub-stories, such as the comeback of California, and the improvement of the state’s finances (remember when everyone thought it was going the way of Greece?). Anyway, lately he’s been warming up the next big story: The big demographics tailwind coming to the US economy. 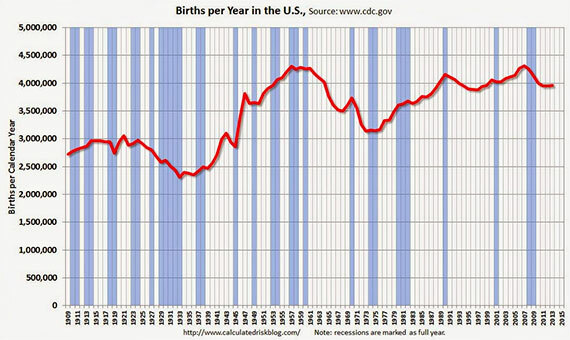 Earlier this week he spotted that in 2013, for the first time in several years, there were more babies born in the US than in the year before (it’s slight, but you gotta start somewhere). Back in June he noted that the 20-24 demographic is now the largest population cohort in the US. Now a crucial thing here is that while the 20-24 cohort is the largest now, in a few years, the largest group will be those of prime-age workers: 25-29, the age when people really begin to earn better money and buy homes and cars. 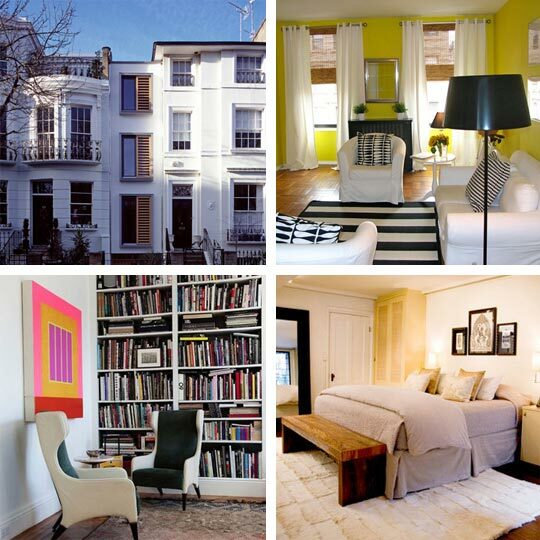 McBride argues that currently, with so many 20-24 year olds, the demographics are very favorable to apartment renting. And so of course these days, the multi-family housing sector has been leading the way. And you hear all these stories about how people aren’t into homeownership anymore. But the demographics that are currently favorable to apartments will turn into demographics favorable to homeownership, as the cohort gets older, moves into higher paying jobs, and wants more space for those new babies. And while we’re talking about housing, we should also take just a minute to talk about inflation. Matt Busigin wrote a great piece last year, talking about the non-monetary causes of inflation, and how demographics is a much bigger driver of inflation than people realize. Many of the same factors discussed above could contribute to higher inflation, as a younger workforce moves into its first homes and first cars, and has real buying power for the first time. 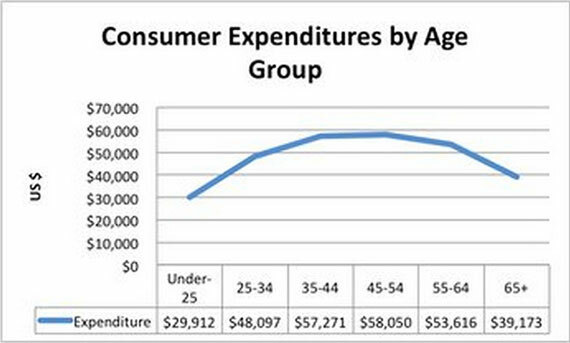 One chart from Busigin’s post drives home a lot, and that’s spending by age cohort. You can see how consumer expenditure overall really accelerates as people move into their mid-to-late twenties. 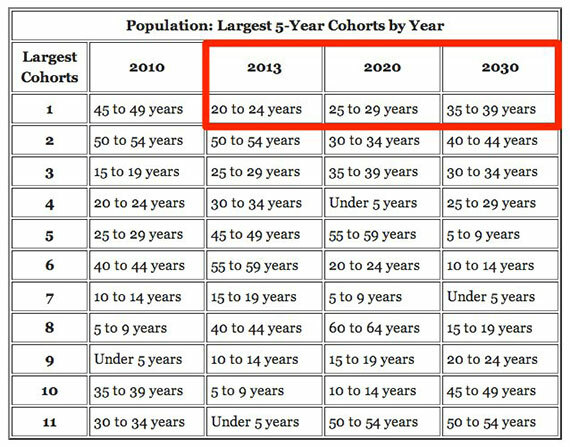 As you consider the above table, showing how the 25-29 aged cohort will be the largest by 2020, you can appreciate the significant economic tailwind to come.